I haven't done any reviews for a long time so today I'm reviewing and recommending a bunch of items I love. You should know, that if you use the links to purchase them on Amazon, I will receive a small commission. The second this cookbook was available for pre-order on Amazon, I jumped on it, and it's so much more than just a cookbook. Think cooking meets science. The book has received beyond glowing reviews (like this one in the New York Times) and seems to be on everybody's must buy list - mine included. 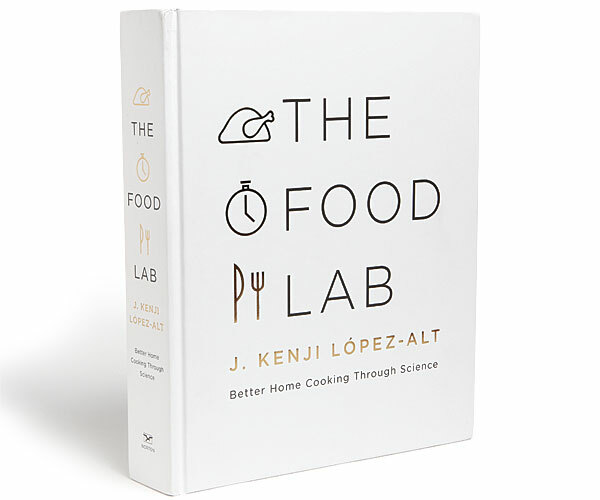 Not only will Kenji guide you in making incredible food (including beautiful pictures and careful step by step instructions of the techniques required to master a dish), but he'll review the scientific process he applied to perfect each and every one. 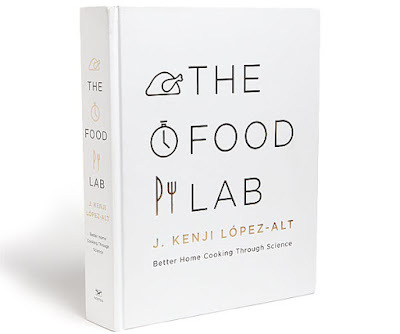 The book's a monster, and it's a great buy for home chefs new and old (and if you're buying it as a gift, consider buying yourself one too - it's that good). Here's an here's an Amazon link for the US, and here's an Amazon link for Canada. 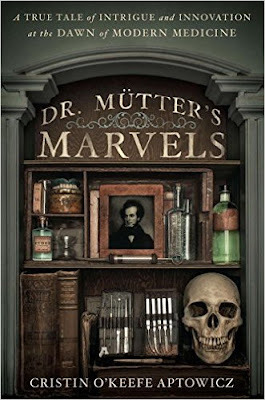 Dr. Mütter's Marvels is an engrossing read. It tells the tale of Dr. Thomas D. Mütter, a surgeon who practiced his craft just before, and just after, the dawn of anesthesia. Mütter exemplifies what it means to be a caring physician, and reading it left me feeling humbled and awestruck by Mütter's skill, compassion, and genius. The history recalled is amazing - from the fact that nitrous oxide was originally promoted by its inventor as a hangover cure, to the ushering in of its use in anesthesia with the observation made by Massachusetts General Hospital's John Collins Warren, "Gentlemen, this is no humbug". "It is a surprising as well as humiliating reflection, that even with all this energy and vigor, with all the lights of modern science to guide us, with all the accumulated facts, false as well as true, of the crowd of laborers in the field, there should exist such diversity of opinion on subjects of the most constant observation." "This world is no place of rest. It is no place of rest, I repeat, but for effort. Steady, continuous, undeviating effort." Here's an Amazon link for the US, and here's an Amazon link for Canada. I love coffee. 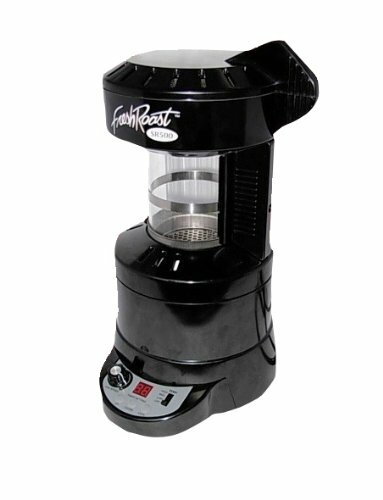 Years ago I made the switch to black coffee and along with it, to roasting my own beans. Though there's definitely an investment in buying one of these roasters (they'll run you between $150 and $200), if you've been grinding pre-roasted beans at home, it'll rapidly pay for itself. I buy one 50lb bag of green coffee beans a year (green beans can be stored for up to 3 years before going bad) from Toronto's Green Beanery. By buying in bulk I'm paying, depending on the bean, somewhere between $6-$9/lb - markedly less than the pre-roasted beans I'd be buying - savings that more than cover the cost of the machine within a year of purchase. If you do decide to home roast, buy some bean samplers and play around with times and temperatures. For US readers, Sweet Maria's is a great green bean wholesaler and there's lots of terrific FAQs and how-tos there as well. Here's an Amazon US link (sorry, no link for Canada but you can buy at Green Beanery or use the US Amazon link which does ship to Canada). 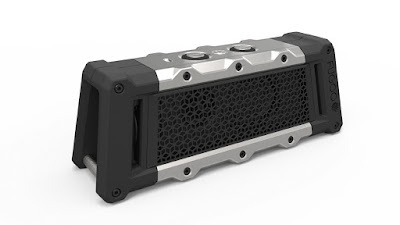 I love this portable speaker. The battery life is a ridiculous 40 hours, you can buy an accessory handlebar bike mount (I received one with the gift), it's loud, sounds great, and is virtually bomb proof. Biking with it on my commute to work I'm able to hear both the music and the world around me. We use it at home for impromptu dance parties with the girls as it hooks up via Bluetooth to my smartphone which allows me to stream their favourite songs via Youtube videos. I also use it as an internet radio as once connected to my smartphone, via the free app TuneIn radio, I can listen to radio from anywhere in the world. I'm so taken with these headphones that I'm reviewing them here a second time. I tried for years to find workout headphones that were comfortable, delivered great sound, and actually stuck in my ears regardless of how hard the workout or the amount of sweat. Then I got the Jaybirds. Not only did they meet all my needs, but they also were Bluetooth headphones that allowed me also to take calls. Truth be told, my experience with the calls feature hasn't been stellar - some connections are great, others less so - but friends who have these headphones as well have told me they've never had a problem so perhaps mine are a bit wonky. At two years old mine are still going strong, but were they to break, I'd spend my own money buying them again in a heartbeat. Here's an Amazon US link, and here's an Amazon link for Canada. 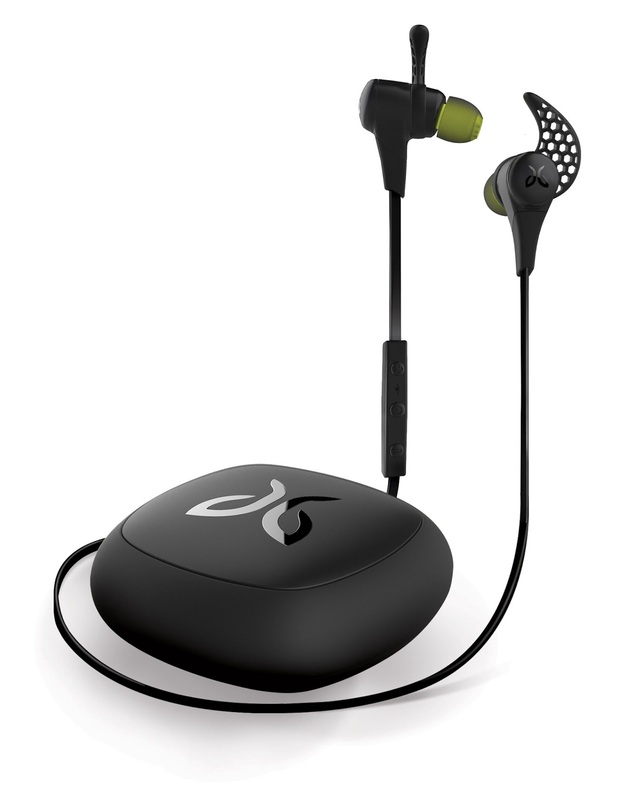 If you're looking for a stocking stuffer for the exerciser in your life, or the perfect accessory to go with the Jaybird headphones consider the TuneBand. 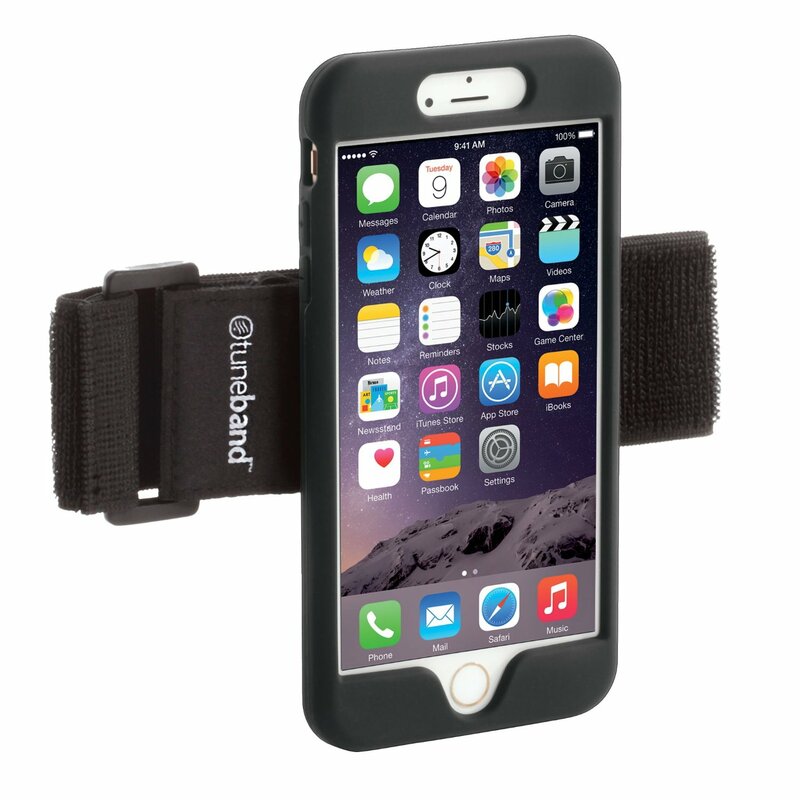 It's a simple silicon sleeve that securely houses your smartphone while its easily adjustable velcoro armband secures your phone to your arm. I've used one since my first smartphone (the iPhone 4), and I'll likely keep on buying them as phone shapes and sizes change.